I am a huge lover of Social Media, I mean really, what’s NOT to Love! I love the sharing, engaging and the ability to reach out to so many people all over the world. I have been so lucky to be able to meet so many wonderful people by way of social media. One of the things that I noticed within my social media circle was how many people actually use social media to bring attention to causes. I have not had an opportunity to participate in many social good projects in the past but that has changed recently. I am currently working with a brand NBN Group based in Cherry Hill New Jersey. They have a division New Behavioral Network that does amazing things for kids with Autism and Behavioral Challenges. They have events, family fun night and camp for children with disabilities. 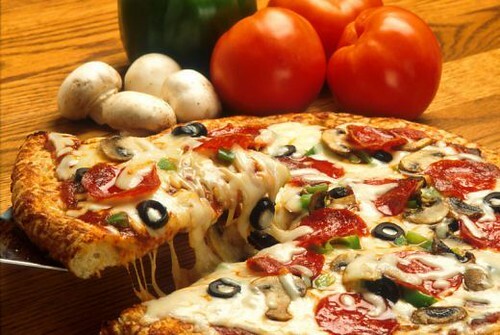 New Behavioral Network has teamed up with Papa Johns for a Fundraiser called Adopt A Camper. The goal is to send as many kids with Autism to camp as possible. How Awesome for the kids! 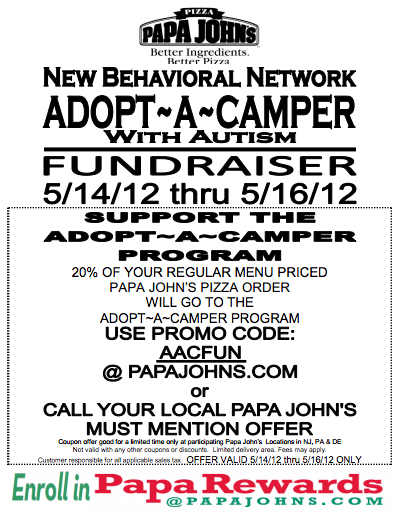 So 20% of your regular menu Papa John’s Pizza order will go to the Adopt A Camper program on 5/14/12 – 5/16/12. You must use promo code AACFUN @PapaJohns.com or mention this order if you call a local Papa Johns in NJ, PA & De. Download The Flyer For More Coupons To Give To Your Friends! Great Cause Anise, thanks for sharing.